Hearty grains of rye bread hit you in the nose before you even take your first bite. This will be quite a treat. Swiss cheese mixes with the bread and the cold cut turkey. Maybe it’s not the classiest turkey to bring to the board, but it’s refreshed by apple slices on the top. 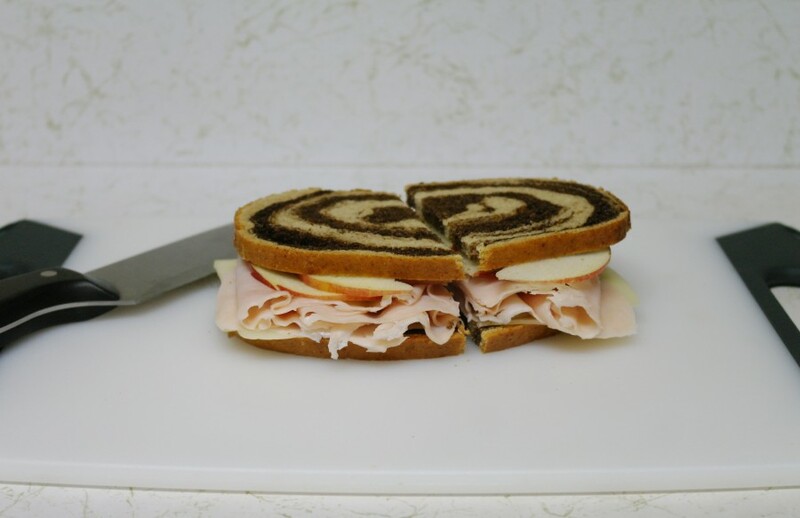 A slice down the center will separate this behemoth of flavor into two digestible parts. You could even wrap one up for later. But you don’t have to. Go ahead. Eat it. We won’t tell.